The Tony Awards administration committee met today for the second time to confirm the eligibility status of ten Broadway productions for the American Theatre Wing's 2018 Tony Awards. The Tonys administration committee will meet a total of four times throughout the 2017-2018 season to decide the eligibility for the 72nd Annual Tonys. The productions discussed on January 25 were M. Butterfly, Junk, The Band’s Visit, Latin History for Morons, Meteor Shower, Once On This Island, SpongeBob SquarePants, The Children and Farinelli and The King. 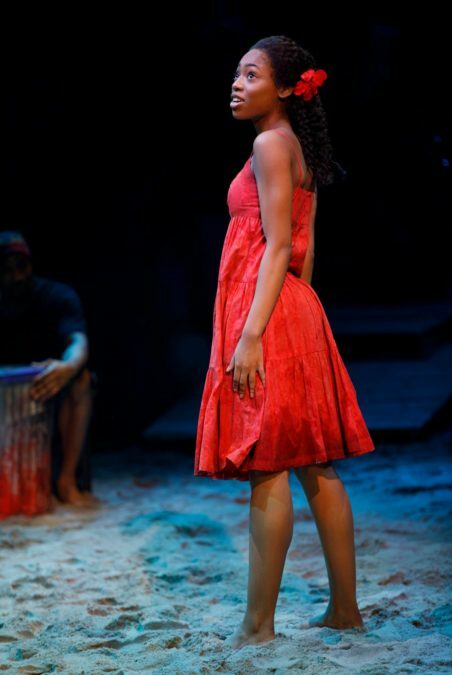 Eligibility determinations of note include Once On This Island star Hailey Kilgore, who will be eligible in the Best Performance by an Actress in a Leading Role in a Musical category for her performance as central character Ti Moune; original Once On This Island star LaChanze earned a Tony nom in the Featured Actress category for her turn in the role. Another determination of interest involves Farinelli and the King playwright Claire van Kampen, who will be eligible in the Best Orchestrations category for the music she arranged for the play. Steven Pasquale will be considered eligible in the Best Performance by an Actor in a Leading Role in a Play category for his performance in Junk. Katrina Lenk and Tony Shalhoub will be considered eligible in the Best Performance by an Actress/Actor in a Leading Role in a Musical categories for their respective performances in The Band’s Visit. John Leguizamo will be considered eligible in the Best Performance by an Actor in a Play category for his performance in Latin History for Morons. Keegan-Michael Key and Laura Benanti will be considered eligible in the Best Performance by an Actor/Actress in a Featured Role in a Play categories for their respective performances in Meteor Shower. Hailey Kilgore will be considered eligible in the Best Performance by an Actress in a Leading Role in a Musical category for her performance in Once On This Island. AnnMarie Milazzo and Michael Starobin will be considered jointly eligible in the Best Orchestrations category for their work on Once On This Island. Ethan Slater will be considered eligible in the Best Performance by an Actor in a Leading Role in a Musical category for his performance in SpongeBob SquarePants. Walter Trarbach and Mike Dobson will be considered jointly eligible in the Best Sound Design of a Musical category for their work on SpongeBob SquarePants. Mark Rylance will be considered eligible in the Best Performance by an Actor in a Leading Role in a Play category for his performance in Farinelli and the King. Claire van Kampen will be considered eligible in the Best Orchestrations category for her work on Farinelli and the King. The 72nd Annual Tony Awards will air on CBS on June 10 at 8:00pm EST. The official eligibility cutoff date for Tony eligibility is April 26 for all Broadway productions opening in the 2017-2018 season. Productions which meet all other eligibility requirements and open on or before the eligibility date are considered eligible for 2018 Tony Award nominations. The 2018 Tony nominations will be announced on May 1. The first batch of Tony eligibility rulings can be viewed here.